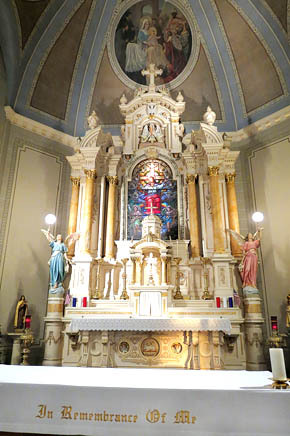 Members of St. Bonaventure Parish, Raeville, celebrated years of dedication to preserving and restoring their church last Sunday, Feb. 2. The Rededication Mass was concelebrated by Most Reverend Archbishop George J. Lucas of the Omaha Archdiocese, and Rev. Ross Burkhalter, pastor. The homily focused on the faith exemplified by the founding church members and ancestors of present day members, who came to farm the prairie of northern Boone County and establish a monument of faith. Details in the Feb. 5 Albion News and Petersburg Press Print and E-Editions.